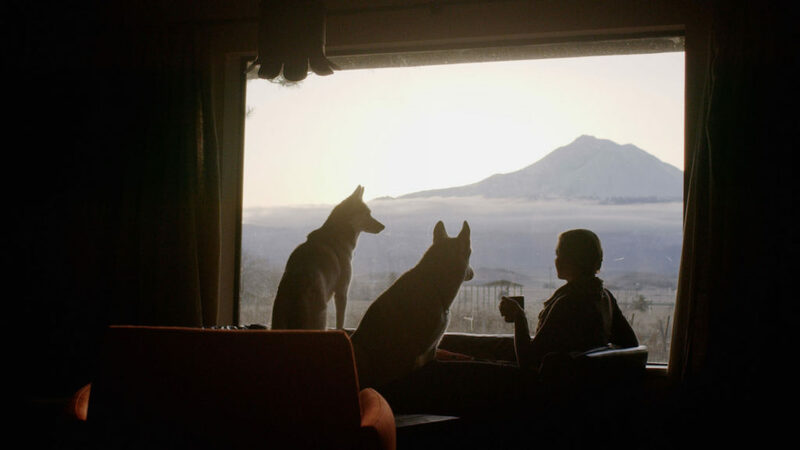 Dogs are a way of life in Siskiyou. From trail walks to beer gardens to water-play, fun for you and your furry bestie awaits in California’s north. 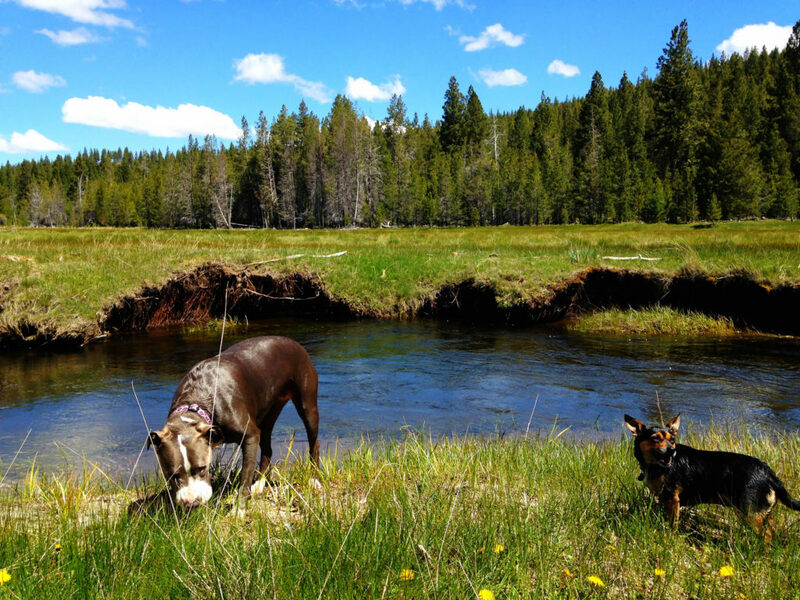 Check out some of our regular go-to dog adventures! There’s nothing better than a mountain hike, and Siskiyou has some pretty epic dog-friendly trails. Around Mt. Shasta, head for the Gray Butte Trail, a moderate 3.5 mile round trip out of Panther Meadows that passes a sacred Native American site and old-growth forest on the way to an expansive viewpoint. Or, head out from Castle Lake toward the Mt. Bradley Lookout, a moderate to difficult hike with two attractive lake destinations along the way – dramatic Heart Lake and pastoral Little Castle Lake. For a little taste of waterfalls and wilderness, head to the aptly named Dog Trail in the Castle Crags Wilderness area. Although the neighboring Castle Crags State Park does not allow dogs, the Wilderness Area is a dog’s paradise, and this trail offers amazing views of the Castle Crags and surrounding peaks. To get to the Dog Trailhead, drive past the entrance to the Castle Crags for 3+ miles and park at the old quarry. A short ½ mile trail up to the PCT and left turn will put you on the path to Burstarse Falls (and keep you out of the State Park). Once you finish your 6+ miles, head over to the dog-friendly Dunsmuir Brewery Works for some much-need rehydration. Just about every town in Siskiyou has a dog-friendly park, but some of our favorites are Shastice Park in Mount Shasta, where dogs can enjoy the adjacent off-leash dog park in the back. Bel-Air Park in Weed, next to the College of the Siskiyous, offers leashed dogs a 7-acre space to take a stroll, and is just a hop, skip and a jump from the dog-friendly Mt. Shasta Brewing Co. & Alehouse. And in Happy Camp, the River Park provides a scenic city park with green grass, a shaded pavilion and handy access to the refreshing Klamath River. 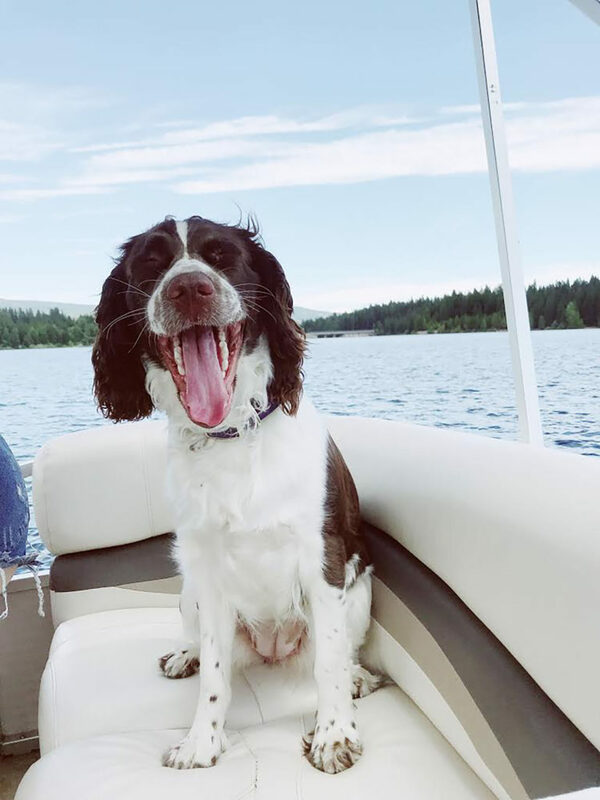 To beat the heat with some lakeside adventures, head straight for Medicine Lake, a popular recreation, camping and hiking area between McCloud and Tulelake where leashed dogs are allowed anywhere in the campground or on the surrounding trails. You’ll also find some great lake trails surrounding the ever-popular Lake Siskiyou near Mt. Shasta, and Juanita Lake, a beautiful little lake outside Macdoel with a paved 1½ -mile ADA compliant trail. And finally, if you find there’s an activity you just have to do that’s not dog-friendly or your pup just needs a spa day, head over to the Furpurrsons Pet Resort in Mount Shasta, an upscale facility with large exercise areas, pet boarding and doggie day care with a fully customizable menu of events like spa packages and nature walks. There’s no shortage of four-legged fun to be had! Come wander above with your best canine companion and experience all Siskiyou has to offer.